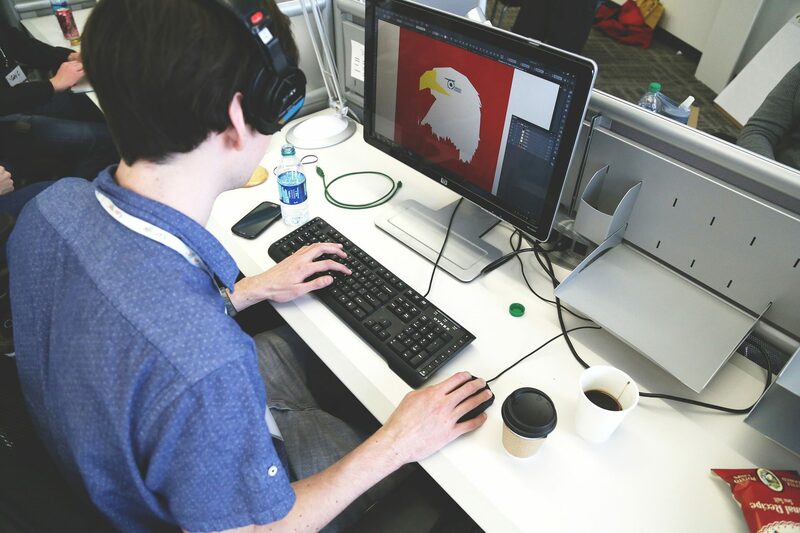 Web designers use their creative and technical skills to design new websites or mobile apps and redesign existing ones. They often work on a freelance/commissioning basis whereby they discuss requirements with clients to determine what the client wants from their website or app and will come up with designs and layouts to make the site appealing and easy to use for the target audience, they will also possibly be involved in the build, support and maintenance. Web designers can use programming languages or source code to create designs, but may focus on graphics and design for templating new sites or proposing layout changes to existing ones. You may also find it useful to have basic photo editing and copywriting skills. Some employers will expect you to have a portfolio of work to show them, like websites you've worked on. Colleges offer a wide range of courses, and there are lots of free online tutorials. You could also take a college or higher education course in a web design or multimedia subject. You may be able to get into this role through an apprenticeship. Tech Future Careers has more information on tech roles including web design. The UK Web Design Association (UKWDA) and Bubble Jobs have more information about becoming a web designer. With experience you could move into design team management or expand your skills to become a web content manager. You might work towards a move into business management. You could also work as a freelance web designer, or set up your own web design business. Creativity, attention to detail, problem solving, able to work to deadlines, the ability to communicate your ideas, good communication skills, technical knowledge, analytical mind.